It’s not news that it may take longer to get a job when you are over 50. But that doesn’t mean you have to give up. These tips will help you stand out from the pack. 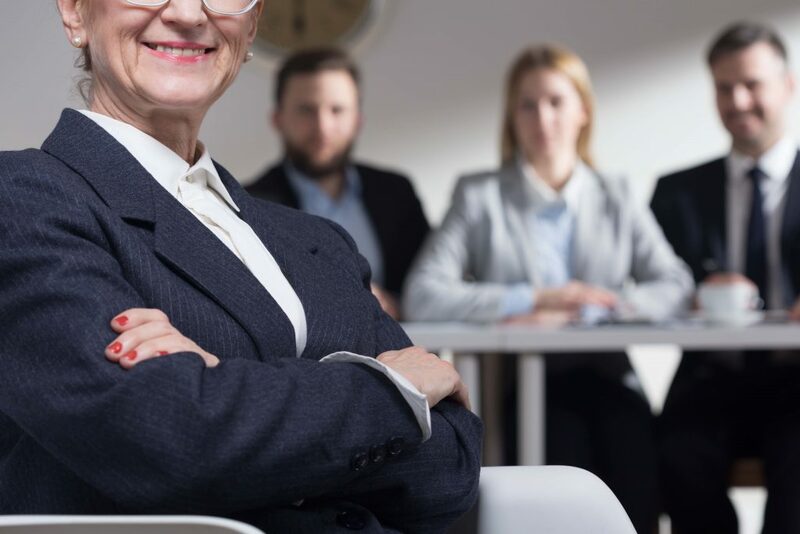 You don’t have to give your age at any stage of the interview process, even if asked directly. If you have to provide ID, try and find something that doesn’t include your date of birth. If you are asked in an interview, deflect the question by saying something like, ‘I’m energetic and committed, and intend to keep working for many years yet’. In your CV, leave out any dates that give your age away, such as early education, first jobs and the like. Focus on the last three roles or 10 years of your career, and summarise relevant earlier jobs without using dates. I’ve had a number of clients who are very angry, resentful or just plain miserable about their lack of work, or the difficulties of their present job. Whatever your age, it’s never a good look to approach the job hunt with this mindset, so do yourself a favour and deal with the feelings first. You may want to find a counsellor who can help you with this, or talk it through with a partner or good friend. Whatever it takes, you will need to be relaxed and 100% enthusiastic when you begin looking for a new job. This is a common interview question, so spend some time planning how you will handle it. It’s useful to emphasise that you are interested, love working, keen to be involved but not looking to take over the joint (unless you are…). Stress the benefits you bring to the team, and how much you enjoy being part of a multi-generational workplace (if you do…). Did you know studies show older workers are reliable and 2.6 times less likely to quit their job over the next year than younger ones? I’m not going to give you fashion or styling tips here, but there’s no doubt that it’s worth spending some time, and maybe some money updating your look. An interviewer will make a number of judgements about you before you even open you mouth, and you can minimise any negative or age-related assumptions by looking smart and contemporary. There’s no need to do a ‘mutton dressed as lamb’ thing, and in fact trying to look younger than your age rarely works. But if you are not sure of how you come across, seek advice from a stylish friend or an expert. When I started to do more speaking and video work, I invested in a few hours with a personal stylist, and it was worth every cent. Clothes, hair, accessories and make-up all got a makeover! You have so much going for you – communication skills, common sense, wisdom, maturity, a lifetime of experience. Weave examples that show this through your answers, rather than ramming it down the interviewer’s throat – remember the old writers’ adage, ‘Show, don’t tell’. Could this by a willingness to keep learning and a curiosity about new ways of doing things, and you could be on a winning streak. Yes, I know you have all that experience we talked about just now, but it is also important not to be a know-it-all and disrespect your (probably) younger interviewer. Don’t use expressions like ‘in my day’ or talk about ancient history. Do act as if age is irrelevant (because it should be…). Show them by how you talk and behave that you have no issue with younger people, that you are interested in trading your abilities, not your chronological age – and that you will easily fit into a team of others, irrespective of age.